In 2018, websites are more affordable and mobile friendly than ever. However, many small businesses still perceive obstacles that limit their online presence. Websites can help small businesses attract new customers, drive revenue, and manage their brand's reputation. We surveyed 351 small business owners to learn more about how they approach websites, and how they plan to invest in their websites in 2018 and the future. 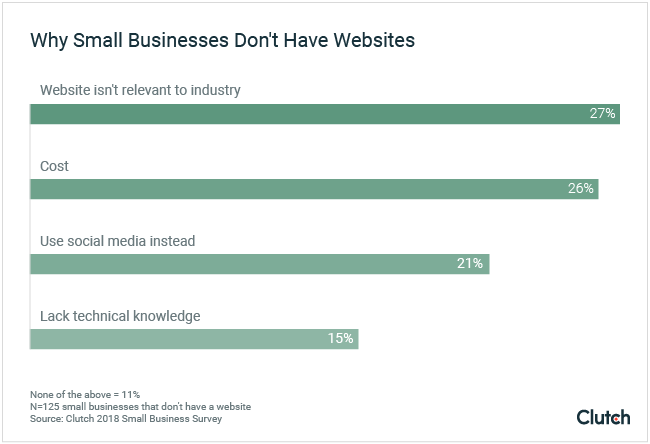 Small businesses cite cost (26%), irrelevance to industry (27%), and social media (21%) as key reasons behind their decision not to have a website. Although small businesses still face challenges, new technology has changed the way websites are built, making websites more affordable and accessible than in previous years. At the beginning of 2018, nearly two-thirds (64%) of small businesses have a website. Across small businesses of all sizes, from 1 to 500 employees, most (48%) had a website since before 2017. Petersen’s clients often need help integrating keywords into their websites, designing effective calls to action, and developing content plans. All of these factors help ensure that customers can easily find businesses’ websites and learn more about the businesses' offerings. Smartphones are changing the way we use the internet. Among small business websites, nearly all (81%) are mobile friendly. An additional 13% plan to optimize their sites for mobile in 2018, bringing the total up to a predicted 94% of all small business websites. In 2016, worldwide mobile internet use surpassed internet use on desktop computers or laptops for the first time. Websites designed for use on a desktop or laptop computer are not automatically compatible with mobile devices. This need to ensure that websites are usable on mobile devices drives small businesses to upgrade their websites. Judd Mercer is Creative Director at Elevated Third, a Denver-based company specializing in Drupal web development. He encourages clients to imagine how customers will use their websites on different devices. “The state of mobile is moving towards the context of the user,” said Mercer. Some small businesses may find it valuable to customize their mobile website to better meet the needs of customers who are seeking information on the go. For example, one of Mercer’s clients is an insurance company that wanted to provide a better website and mobile experience to their policyholders. Users are most likely to access the website on their phone while seeking claim information in the immediate aftermath of an accident. “We might prioritize that more importantly on a phone versus on a desktop computer where we assume they’re at work and an emergency hasn’t happened,” reasoned Mercer. By thinking through the information your customers are most likely to seek on mobile versus desktop, you can begin to understand the functionalities that should be prioritized. In addition to improving usability, websites that are compatible with mobile devices can help to drive revenue. For e-commerce businesses, Hosting Facts estimates that 45% of all e-commerce will be conducted on mobile devices by 2020, compared to just 20% in 2016. The statistic checks out with Jeff Moriarty’s experience. He is the digital marketing manager for Best Price Nutrition, a supplement and vitamin company that has served customers since 2002. Over the past few years, he has watched Best Price Nutrition’s mobile traffic soar. “60% of our traffic is mobile now, and I see that increasing this year again,” said Moriarty. When he optimized Best Price Nutrition’s website for mobile in 2016, mobile traffic accounted for roughly 25% of all Best Price Nutrition's website visitors. Despite this, mobile traffic resulted in only a fraction of the conversion rate for users who shopped from their desktop computer or laptop. With a mobile optimized website, Best Price Nutrition’s mobile conversion rate has climbed to approximately 75% of the desktop conversion rate. By upgrading to a web design that is compatible with mobile devices, small businesses can improve usability and increase the likelihood of conversions that support revenue goals. There are 3 main ways to give your customers a better mobile experience, each at a different price point and level of sophistication. Mobile friendly websites are an accessible starting point for most small businesses. Mobile friendly websites are fast enough to load on a mobile device that may have a weaker internet connection than a laptop or desktop. Mobile friendly sites also sync with some key functions on smartphones. 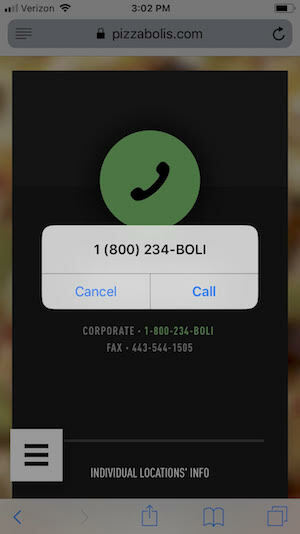 For example, a mobile friendly website would makes phone numbers and addresses live so that they can automatically take users into a phone call or GPS app. Mobile optimized websites are the next step up. In a mobile optimized website, users experience a slightly different version of the desktop website they might already know, with functionalities that are designed to be intuitive and easy to navigate on a smaller, handheld screen. If you have visited a website on your mobile device and noticed that the menu was enlarged and easy to scroll through on your phone, you have probably experienced a mobile optimized website. You can also identify a mobile optimized website by examining the URL structure. Companies with mobile optimized websites will automatically redirect users to a version of the website that typically begins with a prefix of “mobile” or “m” when they attempt to access it on a mobile device. Finally, responsive websites are the most sophisticated mobile websites. Responsive websites automatically detect the type of device used to access them and adjust all elements accordingly. This ensures that images and text render flawlessly, no matter how a user access them. For websites designed with DIY website builder software such as Squarespace, Wix, or Shopify, themes typically work on mobile automatically. Many agencies, including ArtVersion, exclusively build responsive websites. Although websites are often seen as a requirement for small businesses, more than one third (36%) of small businesses do not have a website. Among these small businesses, more than half (58%) plan to build a website in 2018. 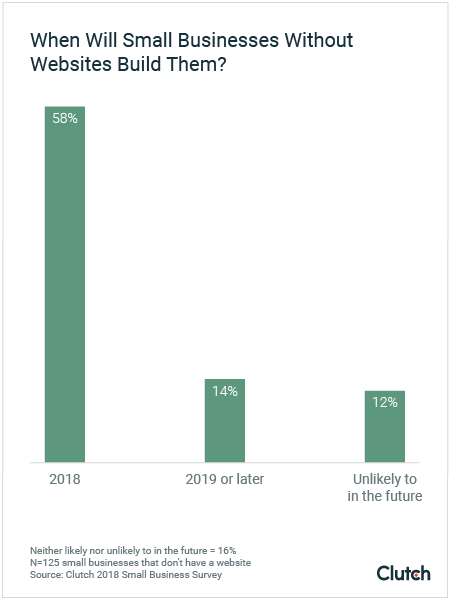 An additional 14% of small businesses plan to build a website in 2019 or later, bringing the total number of small businesses that intend to build a website up to nearly three quarters (72%). Cost is perceived as a key obstacle that prevents small businesses from investing in a website. Other small businesses opt to use social media in place of a website, while still others believe a website is not necessary for their industry. Petersen understands that many small business owners feel stretched thin by day-to-day operations. The short term inconvenience of navigating the web development process can lead to long term gains in terms of revenue, reaching new market segments, and overall growth. More than one quarter (26%) of small businesses without a website cite cost as the key obstacle. But among small businesses with websites, more than a quarter (28%) spent less than $500 on their website. Among other factors, the rise of DIY website builder software drives down the cost to build a website. Mercer believes that perceptions of high costs present a bigger obstacle than costs themselves. “It feels very daunting, but if [small business owners] knew the options, they would realize how inexpensive it is,” said Mercer. He also believes that the term “DIY” might deter small business owners from exploring website builder software. However, most tools require no knowledge of code or other technical specifics. Small businesses may also be surprised to find that some agencies offer tiered pricing for clients with lower budgets. 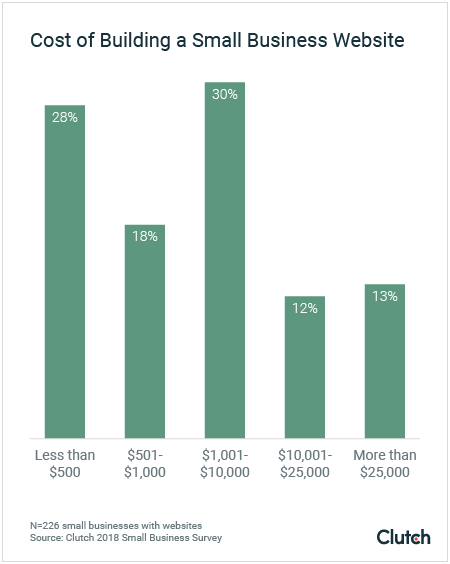 Among small businesses with websites, 48% spend between $500 and $10,000, with a relatively few small businesses spending at higher price points. At ArtVersion, Petersen meets with small business owners to create phased approaches to websites. Rather than launching a complex and fully finished website, she helps clients set a longer timeline with upgrades and features prioritized and spaced out accordingly. Despite the fact that pricing for website development can be notoriously difficult to predict, small businesses may be able to arrange a plan that allows them to afford an agency without spending tens of thousands of dollars. Billions of people worldwide rely on social media for updates about the news, their friends and family, and their favorite brands. Companies like Facebook and Instagram have nurtured highly engaged user bases and in-app sale features that are enticing to small businesses. This environment has persuaded more than 1 in 5 small businesses (21%) to rely on social media rather than a website. The exact relationship between social media accounts and SEO is unclear. Google does not directly use social shares to determine a website’s ranking. However, a 2016 study from Moz suggests that there is a correlation between content that has high rates of engagement on social media and high click through rates. However, the constant flux of algorithms that control what content users see presents significant risk to small business owners who do not maintain their own websites. In January 2018, Facebook announced that its algorithm will once again prioritize posts from friends and family. 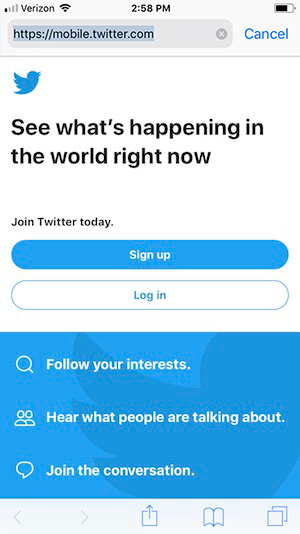 Users will have the option to opt into seeing posts from favorite brands and companies, but overall accounts that aren’t associated with individuals will be de-prioritized. Instead of relying solely on social media instead of a website, Mercer and other experts recommend that small businesses maintain a social media presence to supplement their website. Although most small businesses do benefit from having an online presence, there are some exceptions. For 27% of small businesses that do not have a website, they feel it is not relevant to their industry. Kiedra Tyson runs Face Forward Public Relations, but you won’t find her company’s website on the internet. Her star-studded client list features athletes including Olympic medalist Kelly Wells and pro basketball player Ben Gordon, as well as television stars including members of the cast of Love & Hip Hop. Instead of displaying Face Forward PR’s portfolio on a website, Tyson shares personalized media kits with potential clients, along with nondisclosure agreements to protect the privacy of her current clients. Although it is possible that another company could cause confusion by launching a website with a similar focus and name, Tyson isn’t worried. “We have our articles of incorporation,” she said. “We are legitimately registered to the government.” Ultimately, Face Forward is covered even if copycats pop up. Although Tyson’s situation is relatively uncommon, small businesses in extremely niche industries may also find that they can generate sufficient leads through their reputation and word of mouth. As 58% of small businesses without a website invest in 2018, and still more companies refresh and maintain their existing ones, experts predict promising changes in web design trends. Emerging technology such as chatbots promise to create a richer experience for internet users and brands alike. As websites become more mobile-friendly, experts predict that flat designs and an emphasis on typography will help cut down on rich content that risks slowing loading times without sacrificing visual appeal. Additionally, personalization techniques will help cater website content to specific users’ needs by using data about their location and other factors to predict what content will be most relevant to them. For small businesses, it may be some time before cutting-edge technology becomes commonplace. In the meantime, experts agree that focusing on creating strong content that can inform website visitors about their businesses. No matter what changes the future brings, small businesses should stay focused on connecting website visitors with helpful information. Nearly two thirds (64%) of small businesses entered 2018 with a website that allows customers to learn more about their business online. By the end of 2018, nearly all (94%) small businesses with websites will offer mobile-friendly versions of their websites to keep pace with the changing ways we rely on smartphones to access the internet on the go. However, there is still room for growth among the approximately 1 in 3 small businesses that do not currently have a website. Among them, the majority (72%) have plans to build a website in the future. Despite the perception that building a website is costly, most small businesses spend $500 or less thanks to the emergence of affordable and user-friendly DIY website builder software, as well as agencies that are willing to arrange alternate payment plans for small businesses. More than 1 in 5 (21%) small businesses rely on social media in place of a website, but experts warn of the risks that come with ceding control to a third party that could change its algorithms without warning. 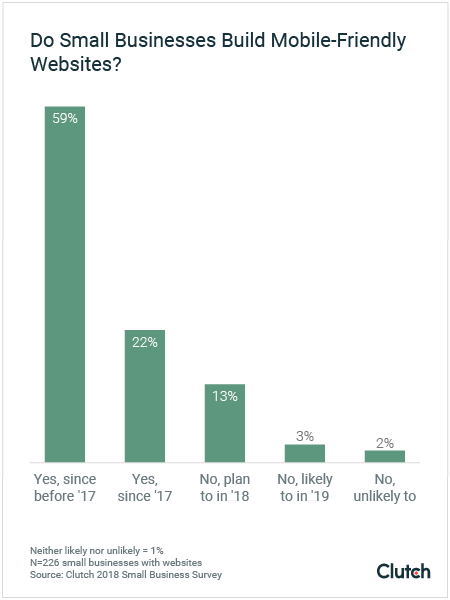 Finally, some small businesses without websites (27%) do not plan to invest because their industry does not require one. Although experts point out that many benefits (such as social proof and ability to control a brand’s message) apply to a wide range of industries, there are exceptions for some companies. Clutch surveyed 351 small business owners based in the United States.